I'd like to start off by apologising for this post being delayed a day. I'm currently feeling unwell, so writing took a little longer than normal! As being ill is a miserable time, I've decided to write about a product that makes me happy, and it's suitable for everybody. Hooray! Arrow is a new brand that has been launched by Birchbox after the success of their first brand release, LOC (Love of Colour). The Boost Colour Enhancing Lip Balm is a one stop balm and colour enhancer. The shade of the product is determined by the pH levels in your skin, meaning that it is unique to everyone. It is designed to "go wherever you do", from those early morning school runs, to work and then beyond, it's lightweight formula is suitable for all occasions and situations throughout your day. It contains mango seed butter for hydration and it is vegan, paraben-free, gluten-free and cruelty-free. It comes packaged in a white, plastic tube with a bright, geometric pattern around it that I love. The product itself is a very faintly tinted pink balm with a slightly domed tip for easy application. My balm arrived in my March Birchbox (every subscriber receives one this month!) and I've been trying it out since it arrived. Application of this product is just the same as a regular balm. Just apply it to the lips and watch the colour change! When you first see the slightly pink balm, you'd probably expect it to have a fruity scent and taste. However, it is actually minty fresh, making it rather invigorating. The balm slicks on easily and the formula is quite thick, so it lasts for quite a while when applied. On my lips, Boost turns a beautiful, flattering pink hue with a glossy finish to it which I adore. It's also drawn in a few compliments from people which is always an added bonus! Another bonus of this product is that it is buildable, so if you like the shade you can make it deeper by simply applying more balm. Whilst the colour aspect is a great idea, the main use of a balm is to moisturise and hydrate the lips. This balm is nicely moisturising, perfect for general usage. 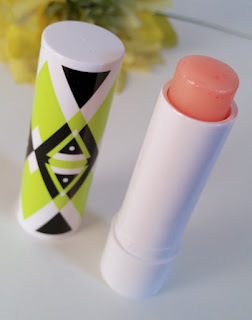 If you're looking for a balm to fix up seriously dry lips, I steer you in the direction of the Lanolips balms, but if you're after a hydrating, tinted lip balm that provides above-average moisture, this is a great choice. The best thing about this balm is that it is suitable for everyone. If you're looking for a nice gift and don't know what shades will suit the person you are buying for, you can't go wrong with this. It will adjust to each individual, making it personal to them. Overall, Arrow's Boost is the perfect, low-maintenance lip product. It can be applied on the go (even without a mirror) and it lasts a long time for a lip balm. This is definitely now one of my go to's for those busy days to look put together with minimal effort. You can purchase the Arrow Boost Colour Enhancing Lip Balm for £11 from Birchbox. If you'd like to subscribe to Birchbox, you can do so here. Using this link also gives you £5 to spend at the Birchbox online store too! * Hurrah! 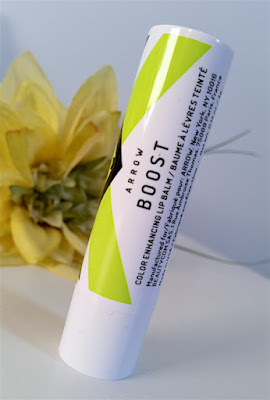 What are your thoughts on the Arrow Boost Colour Enhancing Lip Balm? What shade does yours turn?